The ultimate in shifting pleasure on the street and lap or elapsed time reduction, now available for AWD configurations. Comes with a Quaife LSD and used in the popular Bisimoto 800+hp AWD civic wagon. 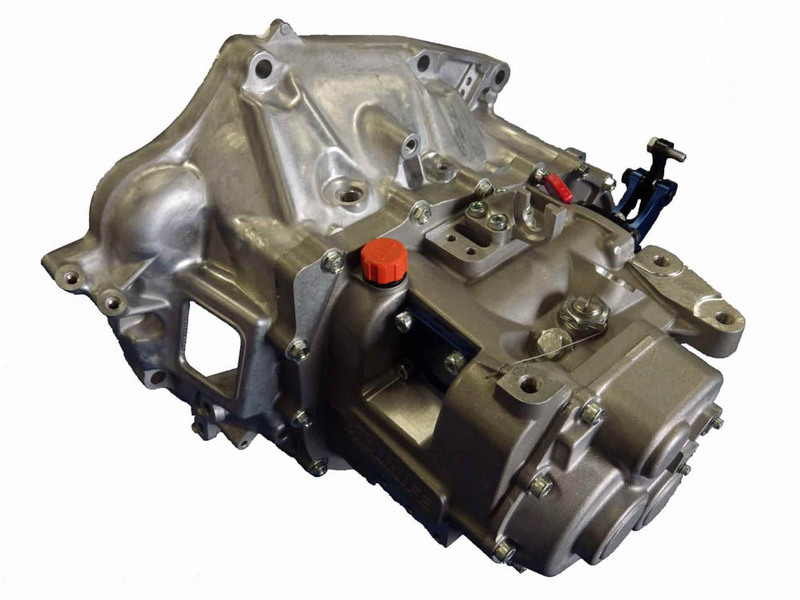 The Gearkit reuses original bellhousing from donor AWD gearbox (typically K24 element and CRV), and requires the factory transfer case ring gear. The robust drum style shift mechanism allows for fast, reliable gear changes. Race proven in rally, drag, time attack, road and race environments, while retaining stock K-series clutch, differential, driveshafts and mounts. Strengthened outer casing with wider than standard gears for additional strength, in a 5 speed configuration. Additional bearing support for shafts, and can be used with original speed sensors. Clients have a choice of straight cut or quiet helical gears. Compatible with flat shift and clutchless engine management solutions for tuning. Supplied with gorgeous shift lever, and is compatible with paddle shifting. There is alos options for assembly and a digital display, if needed. Units take 3-4 weeks to prepare, after order.